More video art to the people! Jesper Just creates video art that moves across genres and challenge the stereotypic idea of gender, sexuality and power. His unique visual universe often consists dancing, and we are excited to see him here in Copenhagen during CPH PIX. This week they are showing his films at Huset i Magstræde, and to close off, they are arranging a panel discussion together with MOMO (Moves in Movies), where they will debate movements in film – Fanclub’s own Klara Elenius is going to be in the panel! Fanclub have recently spotted a number of successful, artistic encounters in the boundaries of concert and performance, and would like to highlight some events where contemporary dance and indie music support each other and merges into an inventive and cool expression. Carolina, who is in New York this month, just saw Steven Reker and People Get Ready staging an indie mix tape at the art space the Kitchen, and two other interesting acts hits Copenhagen venues later this spring – Swedish solo artist Moto Boy is going on a theatre tour together with two contemporary dancers, Petra Fors and Fanclub member Andrea Deres. American Sufjan Stevens’ live shows mix together costume, set design, music and dance into an eclectic arts piece. We can’t wait! See our idol in action! The Copenhagen-based producers Marie Schulz and Christian Bang are young, fresh and able. 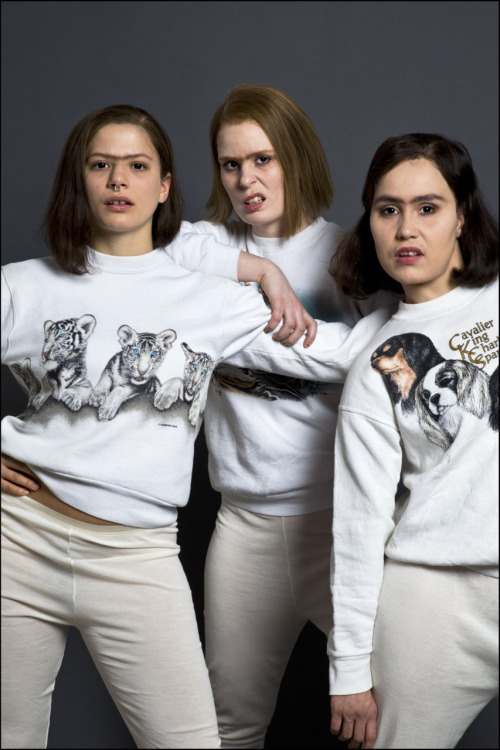 The two former dancers started the company in 2009, and have already managed to build up an interesting mix of clientele – choreographer ForsWorks – Copenhagen Photo Festival – designer Jan Ahlgren – just to name a few. Also check out their new initiative The CanCans, an agency for theatre professionals, like you and me. Mscb are the photographer and stylist behind Fanclub’s fabulous PR-photo, and we are impressed by their energetic commitment and lust to deliver. Go get them!